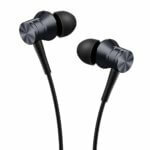 Below is a list of 10 best earphones under 1000 in India. This list is compiled using average customer reviews and purchases. Also, some of these earphones have a noise cancelling system and are equipped with inbuilt mic. You won’t need any high-priced earphones after reviewing this list. 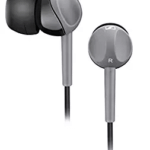 Cowon EM1 are beautifully designed and well balanced earphones available for Rs 825. These earphones provide excellent sound quality with high bass. You won’t regret buying these earphones. Also, Cowon EM1 are compatible with almost every mobile and other devices. One downside of these earphones is that they are not available with mic. However, you can get the same earphone with inbuilt mic for Rs 1,125. Below are links for both the versions of Cowon EM1 earphones. Sennheiser CX 180 is the most reviewed earphones available on Amazon. These earphones give amazing audio quality with Powerful, bass-driven stereo sound. 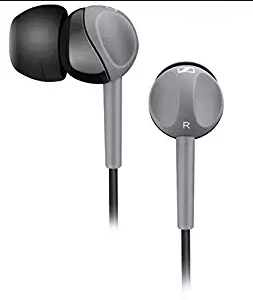 These earphones are compatible with any device and hence are the most recommended. Sadly, these pair of earphones are not equipped with a mic. 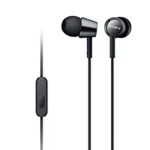 Sennheiser CX 180 is available for Rs 800 an Amazon store. Also, you can get an additional discount of Rs 100-150 from selected sellers. 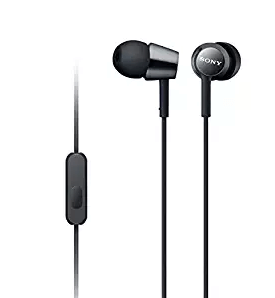 Sony MDR EX 150 are available for Rs 899 on Amazon. 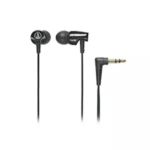 Audio Technica ATH-CLR100 will give you the best quality sound experience. You can expect a crystal clear sound clarity with good bass. One disadvantage of these earphones is that it is not equipped with a mic. Audio Technica ATH-CLR100 is available for Rs 650 on Amazon. 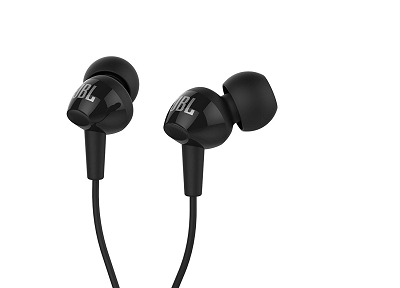 JBL T 100A are in the ear earphones equipped with inbuilt mic. These earphones are clearly the best within its range. If you want an earphone with good sound quality and build, then go for it. 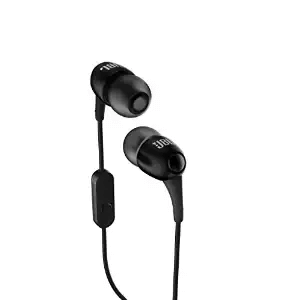 JBL T 100A is available for Rs 700 in Amazon. 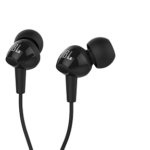 JBL C100SI are available for Rs 900. Its price might seem high, but the product will amaze you. JBL C100SI also comes with a universal button to control your mic and answer your calls. This earphone is especially made for Android and iOS users. JBL C100SI also have a 1.2 meter long cable. If you are a fan of earphones with noise cancellation technique, then these pairs are made for you. Brainwavz Omega is designed for smartphone users with an emphasis on long distance calling. Brainwavz omega is also equipped with 3 buttons, each one for Android, iOS and Windows phones. These buttons can perform basic features like receiving calls and playing music. Brainwavz Omega is available for Rs 999 on Amazon. Altec Lansing are the pioneers of speaker technology. This company is known for producing some of the best speakers. Hence, you can expect the same from its earphone. Altec Lansing MZX147 is available for Rs 890 on Amazon. Note: Make sure that you buy this product from a verified seller. 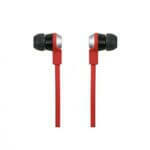 1More Piston Fit earphones are earphones designed specially for Android and iOS users. These are compatible with almost every device. These earphones will surprise you with its clear audio quality and background noise clearance. 1More Piston Fit is available for Rs 999 on Amazon stores. 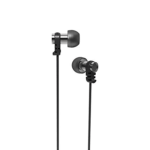 Sennheiser MX 170 is the most reliable and budget earphone available on Amazon. Sennheiser is known for giving the best quality product. Hence, you can expect a reliable earphone from them. The main feature of Sennheiser MX 170 is its high frequency response of 22 to 20,000 Hz. With Sennheiser, you can expect a high quality device with good bass and crisp sound. I will always recommend you to go for Sennheiser MX170 over Sony or Panasonic earphones. Sennheiser MX 170 earphone is available for Rs 525 on Amazon stores.